Home » VIDEO Preview ~ New at Cloud B For 2016! My kids are huge fans of Cloud B. They love the lights, the sounds and the cuddliness of their toys. We have toys from them that project constellations on to the ceiling and underwater scenes and others that are just cozy friends that keep the room lit on a dark night. New for Summer and Fall, Cloud B will be introducing some adorable new friends that your kids will love. Heck, I want a couple of them! Beebop adds a new dimension to your kids’ favorite playlist, by using Bluetooth technology to remotely play their top tracks! As the music plays, lights strobe in blue, green or red all over his body to match the tempo of the tunes. He is great fun for playtime and a soothing companion when night falls. 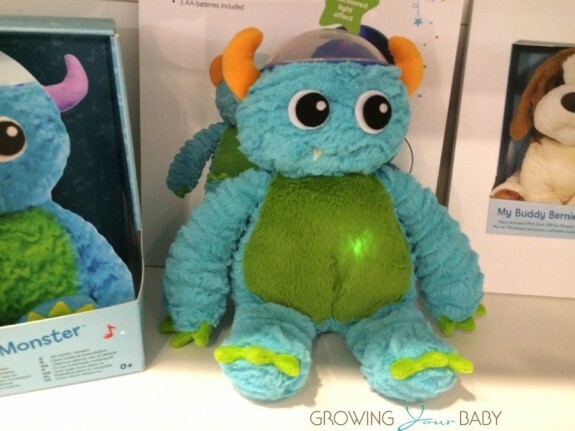 This Fall Cloud B will introduce Iggy Monster. 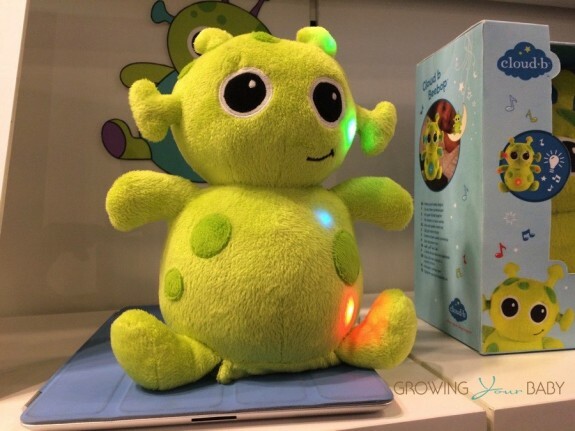 This guy is adorable and he chases away kids’ fear of the dark by projecting multicolored lights onto the ceiling from his head that change from red to green and blue. His belly also lights up with a soothing, calming warm glow. Featured in fun, furry-like plush, Iggy Monster offers reassuring comfort and he can be set to turn off after 45 minutes of glow to make sure every child gets the best sleep possible. Sweet Dreamz On the Go is the all-in-one baby soother to calm fussy and tired babies: a must-have for the modern, busy family. Each adorable kitty cat character will feature eight soothing sounds and melodies, including a Mother’s heartbeat and a popular new “shhh” sound, and their faces will light up with a soft soothing amber glow. 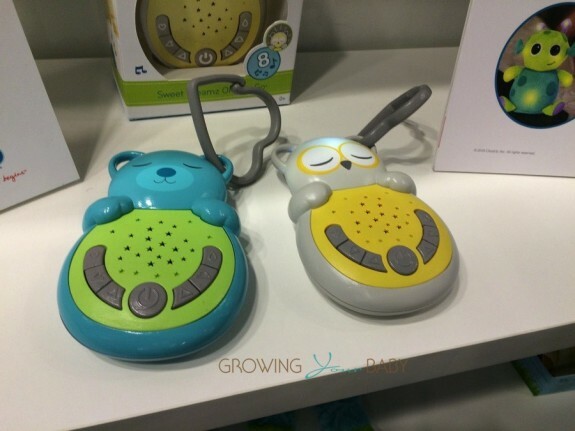 A built-in sensor works to reactivate the soothing sound whenever baby wakes. The collection will also be featured in a variety of colors. Check out my video preview of these new products below!